Muskogee Lawyer BlogDo Muskogee County Divorce Courts Have Jurisdiction if My Spouse Lives Out of State? As our society becomes increasingly mobile, issues of out-of-state jurisdiction in continuing custody cases have become both more commonplace and more complex in Muskogee County divorce courts. Jurisdiction refers to the power of a court to make a decision over a person or their property. So how do we decide which court has jurisdiction over the child when one parent lives in Oklahoma and the other parent lives in another state? In determining jurisdictional questions concerning custody of your child, the Muskogee County divorce court will look to the answers to several questions, including what state your child is living in and in what state, if any, are previous child custody orders filed. There are four principles or tests that confer jurisdiction over an Oklahoma child custody dispute . These are: the child’s home state; a significant connection between state and parties to a child custody dispute; emergency jurisdiction when the child is present and the child’s welfare is threatened; and, the presence of the child in the event there is no other state with another sound basis for taking jurisdiction. Of these, the child’s “home state” and the “significant connection” bases are the most important. 2. Oklahoma was the home state of the child for the period of six months before the first filing and although the child is absent from this state, a parent or guardian continues to live in the state. Oklahoma can also take initial jurisdiction if no other state has jurisdiction-based “home state,” or a court in the state in which the child actually lives has decided not to take jurisdiction because Oklahoma is a more convenient forum to hear the case. This is often the case when evidence such as witnesses and the like are present in Oklahoma. This is also the case when the child lives out of state but has significant relationships with people within the state. Thus, teachers, grandparents, and siblings all can have an impact of whether the Muskogee County divorce court has jurisdiction. 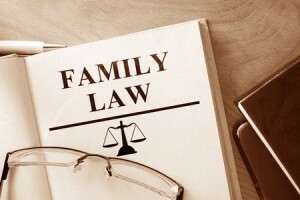 If the courts of more than one state can meet the criteria set out above, then the courts will confer to decide the best forum in which to have the matters of custody and visitation decided. Once the jurisdiction question is decided, that court will continue to retain jurisdiction over these issues until the child reaches the age of majority (18) or it is determined that either the parent or child no longer retains a significant connection with the state or they no longer reside in that state. If you have concerns about child custody in Oklahoma, contact an experienced Muskogee divorce lawyer as soon as possible to protect your legal rights. Call the Wirth Law Office-Muskogee today at 918-913-0725, or toll-free at 1-888-447-7262 [Wirth Law].